Usually, when I need anything from America, I buy and ship to my cousins because there is always someone coming back to spend time with Grandma (typically during the Christmas and Easter season). Grandma is late now and no one wants to come to Naija again. LOL. So I’ve had to start looking for other options to get items I need from the US delivered to Nigeria. Recently, I needed a few things to pimp my car – wheel covers, colorful carpets, plate number covers and some cute colorful bumper stickers. I’d come up with a list of potential companies I could use to ship my items to Nigeria. I visited each company’s website, and calculated the total cost of shipping my items. Shoptomydoor.com had the best rate estimates and seemed to be the most affordable of all the options I’d researched. I logged into the Shoptomydoor website, created an account, and was assigned a warehouse address in the US, UK and China respectively. I ordered my stuff from Amazon and had it delivered to the US warehouse address I’d received from Shoptomydoor. Once Amazon had delivered my items to my US warehouse address I’d provided, I was contacted by Shoptomydoor to log into my warehouse and select my shipping option. I chose to ship my items by air (vs. sea) and my bill came up to $60 for my items which weighed about 9 pounds. I paid with my GT Card and my items were shipped out within days. Every step of the way, I received an email telling me where my items were and estimated time of arrival in Nigeria. 6 days later (including the weekend), my items were delivered by a popular courier service (can’t remember the name). This is what it looked like when it arrived: I loved the packaging! It was obvious they carefully repackaged my items. I felt like it was Amazon delivering straight to me. LOL. By the way, Shoptomydoor.com has a wonderful live chat system. I’d chatted with a representative, Amaka, and would like to give a shoutout to her for being very patient with me. I asked a lot of questions and she genuinely tried to provide answers! I’ll definitely use Shoptomydoor again, but will have to keep an eye on this crazy exchange rates! 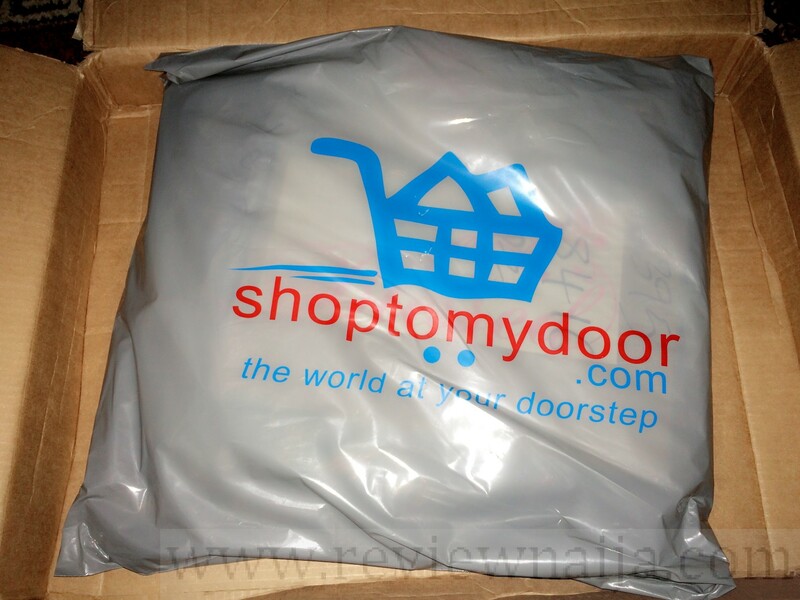 Shoptomydoor is your one stop destination if you are in need of a tested and trusted company that helps you convey your items bought from UK and US at the most affordable rates. 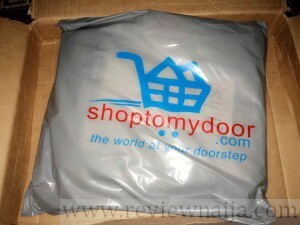 No hidden charges; Shoptomydoor is reliable. Shoptomydoor tells you they would get your packages to you within 5-7 days, and it takes a month and series of calls and complaints for you to get your package. Their customer service is trash and they don’t care if you are inconvenienced due to their behavior. I would never recommend them to anyone. They are a trash company. They are liers, if you use their quote tool you will get a small shipping amount 3.8$ per lb. But once you receive the item in your warehouse they will charge you 9$ per lb. I’ve been using them since 3 years, initially they charge as usual, lately they start charging crazy amount. I bought a protein 5 lb pack, it is 49$ in USA, they charged me 80$ to ship it to nigieria. While at GNC is 44,000N. Moreover, they don’t believe in fedex or USPS weight, they will calculate their own weights and if you don’t believe you have to pay 7.9$ for reweight and the same result you will get. Use impex instead, cheaper and same service. I was using them before and the charges are more less. Shoptomydoor is an amazing company. Shipping from USA was so easy. After I shipped my TV which was well crated I decided to give them another trial. So I shipped a Toyota Corrolla through shoptomydoor and all my parts came intact. I was not going to give my review after my first order because I wanted to be sure of them, so I shipped clothes, shoes, perfumes and so I could trust them with a car and I was not disappointed one bit. You can know a good service when you use it. Shoptomydoor you are great and I will recommend you to everyone. Guys if you are scared cos of what you read here I will advise you to ignore and test even if it is a small package. Shoptomydoor gives you 100% refund if anything happens to your shipment. I’m glad my friend Doris introduced me to Shoptomydoor. Good shipping service, got the items I ordered from 6pm.com, would like to know if you guys also help ship from China to Nigeria. They are thieves, if you use their quote tool you will get a small shipping amount 3.8$ per lb. But once you receive the item in your warehouse they will charge you 9$ per lb. Use impex instead, cheaper and same service. used them like 3 times last year, twice during the festive period got my items from Ebay within 6 days using their standard air freight. 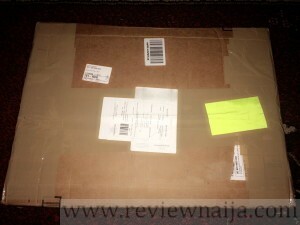 i was quite impressed cos i shop fro jumia and the likes and it still takes them like 6 – 10 business days to get my items delivered, and Shoptomydoor got my item from the USA in 6 business days, it was kinda surprising. We thank you for your patronage over the years, many started with us since 2009 and we have quite a number in Nigeria, USA, Kenya, Ghana and other countries. Within this period, we know that not all our promises have been meet 100% to your satisfaction, but we are committed to changing that and have already began putting in measures. Attempts were made to reach out to everyone who had left us a review here but it seems we can only leave one. We have learnt a lot about what you need and have just finished a total revamp of our operations to ensure we exceed your expectations always. On ocean shipping, major changes have taken place in our Ocean department. In the last 1 month, we have moved a container every week, and we will continue this trend going forward. To this end, we are promising our Ocean shipments will leave within 2 weeks of been dropped off at the warehouse and will be delivered within our normal 6 to 8 weeks. We have taken a lot of measures and we’ll like you to leave us your unit/order numbers of the last transactions you had with us (Shoptomydoor). Our goal is to ensure you get a 100% guaranteed delivery with no stress and so we would love to turn around your experience. Since we can not identify you by the names here as our customers, leaving us your unit number will make us know if you are real customers and help us address your concerns. Stupid company, scams, multiple billers, terrible / unprofessional customer service agents, 37 days plus delay on delivery with nothing but flimsy excuses, A courier company that tells you after payment your item MAY arrive destroyed and they wouldn’t be held liable after full payment is made. Big shame of a company. These are the people that give Nigeria a bad name all over the world when they try to compete with reputable names… Big shame to everyone associated with the administration of this company. Big one. We are sorry to see this. Certainly if this was brought to us we would have looked into this. But let’s take a step ahead, since we will love to turn around your experience, let’s have your unit/order number to get this resolved. AVOID AT ALL COST! THIS IS A BIG SCAM PARADING ITSELF AS A RELIABLE COURIER COMPANY! This is a very painful exercise for me having to discredit a service I’ve used twice. One would wonder why I came back the third time! Unfortunately for me I’m stuck with lack of means of getting my items shipped from the UK/US to Nigeria. 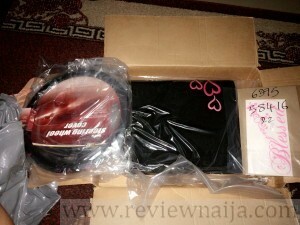 I’d usually wait till I find people coming down to hand my items to them to bring to Nigeria for me, however the constraints relating to time and inconvenience to the traveller made me seek alternatives.Then a friend suggested this service which at the time initially seemed a beautiful idea till these crappy unprofessionalism and dubious attitude started manifesting. Having lived in the UK legally for some years I have access to a UK bank account and debit card which I use to shop for stuffs online anywhere in the world. I also mainly shop from Ebay since I’m a lot fascinated by the auction option and I’ve become really addicted to bidding. Obviously the untrained warehouse and account department personnel of the shoptomydoor are very ignorant of how this works. The very first time I was to use the service they requested for the image of my debit card which I immediately sent to them as if this was not enough they requested for the proof of purchase more than once if I can recall which I also provided. Having used this service once with the same card details and the same type of invoices should I be subjected to the embarrassing request every now and then? I wonder! These guys shamefully receive items and not only spend several days to update the warehouse information even after the tracking reference shows it’s been delivered from the UK/US postal service, they lie with the hired reviewers to claim you will be contacted when your parcel arrives. This has never happened in my experience. I have to phone severally and shout and plead for them to update.When they eventually update it’s either they mismatch items or assign wrong values to the items based on what they see on argos or other out of the blue catalogs if they even care to use any! So now back to my most recent frustration.After painstakingly staying up to win bids on the various auctions and paying for my hard-earned money, these ignorant unlearned folks will have the nerves to ask for contacts of sellers for verification, that’s after I must have submitted invoices clearly showing the values of my items. They went as far as requesting for my bank statement showing the transactions for which the items they’re to ship were paid for. All these I never hesitated to submit. But how on earth am I supposed to find contact of sellers on ebay for heaven’s sake??? How daft can anyone be to request for this information. Bearing in mind all invoices carry Item ID which can be easily verified by calling Ebay to get more details. When I asked that these items be sent to a friend’s address if they can’t ship it as I’m unwilling to provide any additional info, they requested for a return label so they can post it to where it was sent from! For God’s sake this were bids that I had won and paid for and was not in any way considering to return to the sellers as I have not opened any dispute claim on them. Anyone with full knowledge of how ebay works will agree that this is the most unreasonable request to make knowing this is an open market legally operating to facilitate buying and selling worldwide so how on earth am I supposed to find the contact of the sellers who have chosen not to update it??? So based on my very frustrating experience I will advice anyone considering using their service to better find an alternative as the only business the idiots can handle is for those buying items from bigger stores like walmart or tesco. So avoid. The charges aren’t necessarily better than others so I wouldn’t know what competitive advantage they can boast of. They return emails from the US office without copying the UK or the Nigeria office so if you have any complaint you have to repeat your situation to every operator you speak with over the phone.It’s just so crappy. Thank you for choosing shoptomydoor for your shipping services. In response to your email, kindly note that we may not be able to ship the items hence they may have not been purchased directly by you through your bank account, rather through a third party. Obviously, there is lots of inconsistencies. Kindly provide all necessary documents below before the items can be released for return to original location they were shipped from. Snapshot of the credit card used revealing only the last four digit number of the card, and the card holder’s name. So take a scan of your card showing just your name and the last four digits of the card, by covering up the first 12 digits. A screen shot of your bank statement as shown in your statement of account, revealing the withdrawal of purchase amounts for the transaction by the various stores. A screen shot of your valid State I.D card or International passport (Cover and Front page) that matches the name on the bank statement of account or Credit Card. Please ensure this information gets to us within 4 days. After 4 days if we don’t receive these information, your items will be moved into a designated fraud section and will be handed over to the UK police department whose responsibility it is to find the rightful owners and send the items back to them. We do hope we have not made a mistake in our judgment and if we have we do apologize. Once verified and found that they were legally purchased, the items will be released for return. Thank you for being a customer, and we appreciate your business. Sequel to our various correspondences, kindly note that after thorough investigation has done on this shipment, we have come to a conclusion to have the package returned to its original location, as we may not be able to ship the package. Kindly provide us with a shipping return label. Please ensure the shipping return label gets to us within 4 days. After 4 days if we don’t receive these information, your items will be moved into a designated fraud section and will be handed over to the US Customs and Border Control. what kind of company is this ??? I am currently in the hands of shoptomydoor with baby items that I ordered to them over six weeks ago. I regret using their service and I wish I had read reviews before using them. Their customer service is terrible also. No idea when my goods will arrive Nigeria and as at this morning the items were still in the warehouse. I requested that I wanted to pick them up and wanted a refund, then the story changed that the goods were in transit. I am literally in their hands. Big regret!!! Shoptomydoor is a big scam. Do not patronise them. They will only succeed in ripping you off. They will bill you multiple times for the same shipment. You must avoid this business at all costs if you can. They are not reliable, and are running a swindling operation. You might have to pay for the same item 3 times and even then, it could arrive weeks later. If you value your time, money and property, do not use this shipper. I’ve received very shoddy service from shoptomydoor. I ordered my stuff on a Thursday and paid for next day delivery because I needed the package to arrive Nigeria within 2 weeks. It’s meant to be a Xmas present. I needn’t have bothered with next day delivery! Why, you ask? Because though my stuff arrived next day, Friday, my warehouse has still not been updated 1 weekl later. I’ve been trying to get it sorted all week to no avail. I called the Nigerian customer service number listed on their website, it doesn’t work. I chatted with someone on the online chat room, it took him approximately 30 minutes to respond each time. Finally sha he acknowledged that my stuff is with them after I shared the tracking number and promised to resolve the issue. Nothing. I filled out a complaint form on the website to which I got a reply asking for information such as tracking number. I’ve provided the information, still no solution, yet my ticket was closed! Next, I call the U.S. number, several times in fact. They don’t know the first thing about customer service! They’re rude! Nobody has offered me 1 word of apology, nobody has been able to explain to me why this problem has arisen and most importantly, nobody has succeeded in solving my problem. It looks like I have to go and find another Xmas gift for hubby. I’m very disappointed! Shop to my door is okay, however I still prefer mall 4 africa. What’s the difference in your experience? Hahahahaha. Cousins pls pick Meme’s calls ooo. Hilarious. I’ve been thinking about shopping from overseas and this looks like a considerable option. Tnx. They are a scam and a ripoff. You have many other better options, check reviews in nairaland. Total scam. i think you should try https://www.usaddress.com/. Have used them and i must say they are very reliable. If i’m going to spend good money on something i must be rest assured i’m getting the best. nothing beats a mind at rest. Completely agree with you, used shop to my door for the first time . My goods were due to have been delivered yesterday despite calling several times yesterday my goods never arrived, on calling them this morning was told my goods had been delivered. Still waiting for my goods will NEVER use them again . Customer service poor. That is not true. I use them for all my needs from US and UK to Abuja, yea, the UK is not as good as US but they are better than a lot of other shipping companies. We’d appreciate a review of Shippyme when you get a chance please!! I also have similar experience, but I used another company called Gloja (@glojaexpress) and I had a wonderful experience and their air freight is cheaper as well ..got notifications all through…Pictures, calls, emails…. Hi Morayo, please drop a review o, i’ve never head of them, just googled them. Its good to know we can still get things from obodo oyibo at affordable prices which is also an advantage for those that are into business that involves travelling. Hi Morayo! Perhaps you can enlighten us and write a review on Gloja? I’d never heard of them before and I think it’d be good for others to know about the various shipping provides available! Click here to submit a review today! I used to be one of those people that has to wait for cousins or friends to come from the states before I got anything i wanted. It was frustrating for me..in searching for a solution I found “Gloja” through a friend. The good thing is that they also help make procurement from the states .TBH Once in a while they fumble oooo..but generally they are OK.